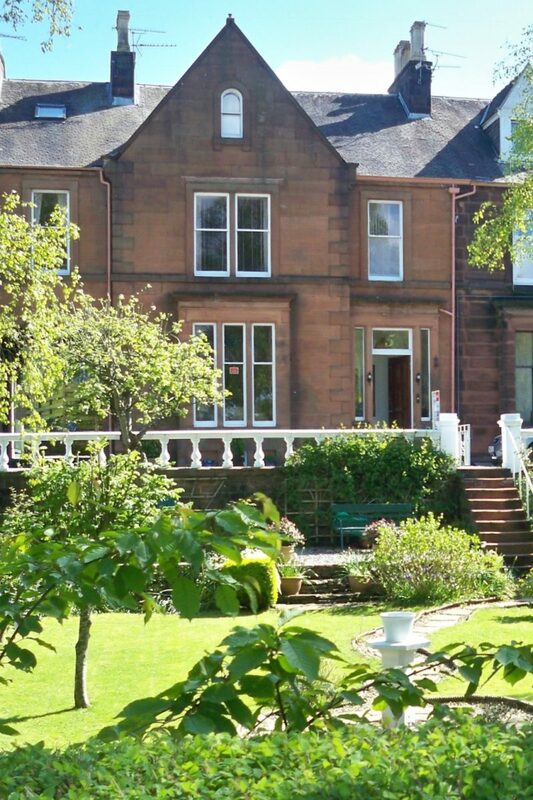 Glenaldor House is a beautiful Victorian listed building approx 150 years old. The house still retains many original features such as a cast iron staircase and fireplaces, along with some wonderfully ornate cornices. There are 4 spacious rooms all located on the first floor and all with ensuite facilities. The house is ideally located just moments from Dumfries train station and approx 10 minutes walk from the town centre. Off street parking is available. Dumfries and Galloway is an inspiring corner of Scotland where our national bard Robbie Burns lived, work and ended his day. There are many castles to visit in the area and the beautiful Solway coastline is right on the doorstep. The area is a haven for outdoor pursuits especially cycling. There is a secure basement available for you to store your bikes. The house is also next door to the house where J M Barrie, author of Peter Pan lived in his school years where he attended Dumfries Academy. There is a stone engraving on the building to commemorate his time there.